Alfa Transformer offers new, energy efficient, single-phase and three-phase low voltage (600V class) and medium voltage dry type transformers from 0.05 KVA to 5000 KVA. Reconditioned dry type transformers are available from 1 KVA to 2500 KVA. 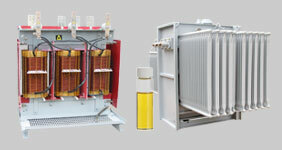 New, energy efficient, oil filled transformers, single-phase and three-phase. Pad mounted, substation, and pole mounted transformers available from 5 KVA to 60 MVA. Reconditioned oil filled transformers available from 5 KVA to 10 MVA. Alfa Transformer offers complete repair and testing services for dry type and oil filled transformers up to 5000 KVA. Coil design and rewinding, reconditioning, oil analysis, and more available. Virtually any coil-based equipment can be repaired. Hurricanes Harvey and Irma affected thousands of businesses in Texas, Louisiana and Florida. 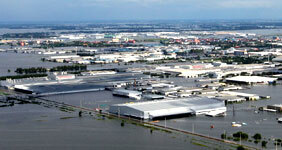 Alfa Transformer can recondition, repair, or replace transformers that were damaged by flood waters or lightning. Call us for a free assessment. 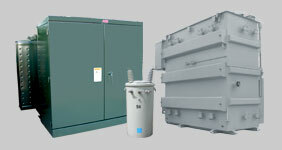 Alfa Transformer offers more than 50 years of experience in transformer sales, rewinding, and repair. Alfa Transformer provides transformers to customers around the world including manufacturing facilities, electrical contractors and supplies, commercial buildings, government and more. Alfa Transformer began in 1964 as The Alfa Company which sold transformer-related parts and publications for its sister company, a transformer manufacturing and repair facility. New and reconditioned transformers are available with many being in stock or having short lead times. Alfa Transformer rewinds and repairs transformers and most coil-based equipment. 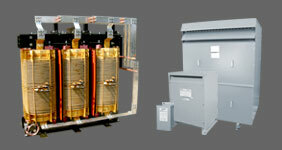 Custom-designed transformers for special applications are also available. If you need a new transformer, a replacement transformer, or a transformer repair, we can help. Call us today at 479-646-1668, , or chat with us below. Calculate transformer full load current or KVA. Components, accessories, phase converters and more. Click here for info on our current inventory specials. We buy surplus dry type and oil filled transformers.